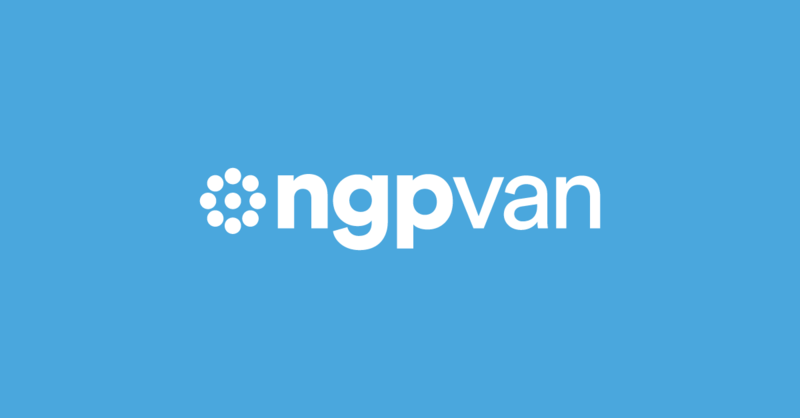 WASHINGTON, DC – Today NGP VAN announced the public launch of Social Fundraising, a new tool that helps Democratic campaigns and progressive organizations empower supporters to raise money on their behalf. Unlike other peer-to-peer online fundraising platforms, Social Fundraising integrates both online and offline fundraising; a key feature for fundraisers who are frequently frustrated by the lack of offline integration in many online-only tools. Additionally, because Social Fundraising is fully integrated with the NGP fundraising database, clients can easily manage their peer-to-peer fundraising across both online and offline channels to better understand their network of donors. The tool includes the optional use of a “rollup” report for each volunteer fundraiser that shows not only how much money that particular fundraiser has raised, but also how much money has come in through the volunteer fundraiser’s network. Another distinguishing feature is the tool’s gamification that spurs supporters to greater action through a series of points and badges they can earn (and share on social media), and leaderboards where they can see how their progress matches up to others nationally or locally. Also notably, NGP VAN is not charging any monthly fee for its existing Online Contributions customers, instead taking just 1.95% percent of funds raised. Because of this and the fact that more Democratic campaigns and progressive organizations use NGP VAN than any other online toolset, this means that thousands of clients, ranging from large national party committees to small city council candidates, can benefit from this tool in 2014. "Social Fundraising is another way NGP VAN helps clients raise more money" said Stuart Trevelyan, NGP VAN’s CEO. He continued, "We’re really excited to bridge the online-offline gap, to accurately reflect the full rollup for a fundraiser, and to introduce gamification to volunteer fundraising." Ready for Hillary has been the beta customer for Social Fundraising prior to today’s public launch, and is effectively empowering grassroots supporters to raise money. Just as important, along with NGP VAN’s Social Organizing tool, Ready For Hillary is using the Social Fundraising tool to allow supporters to self-organize in communities. By combining the use of both tools, Ready for Hillary is able to build, across both their fundraising and organizing efforts, a sophisticated reflection of how supporters are connected to each other. Congressman John Sarbanes recently launched the MyVoice Campaign to model how a public matching system would work. Every grassroots donation to Friends of John Sarbanes between $5 and $100 will be matched at a 5-to-1 rate from specially donated matching funds. Social Fundraising is a grassroots fundraising tool – one that will help Democrats and progressives raise small dollar contributions, and help provide the resources to compete with the Koch brothers and other billionaires pouring in huge contributions to promote their self-interests. Social Fundraising allows supporters to set up a personal page that keeps track of contributions from friends and family. They can also set their own fundraising goals, create a page with their own unique URL and a personal message, and then ask friends via email or Facebook to contribute. Social Fundraising is part of an organization’s Action Center, allowing clients to combine Social Fundraising with other best in class tools like Virtual Phone Banking, Social Organizing and more, with unified gamification across the different types of tasks. NGP VAN is partnering with Ready For Hillary on additional features for the Action Center. NGP VAN is the leading technology provider to Democratic and progressive campaigns and organizations, offering clients an integrated platform of the best fundraising, organizing, and digital products. NGP VAN is credited widely as being a critical piece of the Democratic and progressive technology edge. NGP VAN counts thousands of campaigns and organizations amongst its clients, including President Obama’s reelection, all the national Democratic committees, every Democratic Senator, most of the Democrats in the U.S. House, and thousands of Democratic campaigns, PACs and non-profits, and other organizations. Publications like TechCrunch, Mashable, and ClickZ covered NGP VAN’s innovativeSocial Organizing product, writing "The potential power of Social Organizing is impressive."